We then select one to three different hot stocks that have met our criteria and that we feel are ready to advance. We then post our stock picks on our web site each night by 7:30 pm MST. 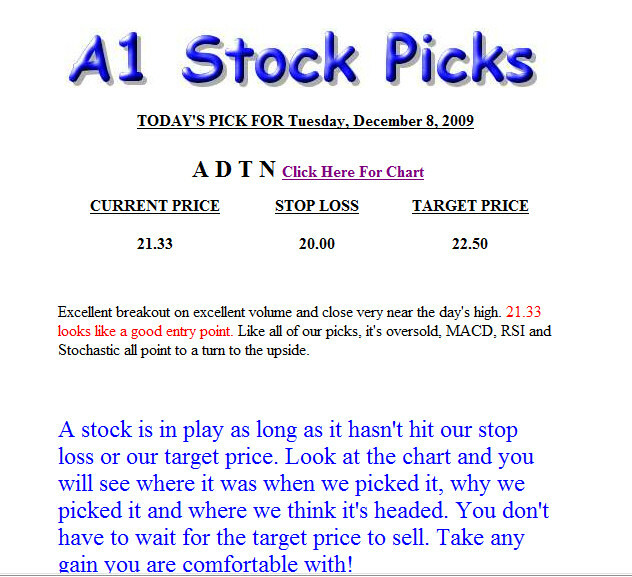 Each posting will have the ticker symbol of the stock, the price it closed at that day, an entry price, a stop loss price, an exit price and a commentary from us on why we like the stock and why we have chosen it. We make it easy to follow and understand. We take the guess work out of Investing. 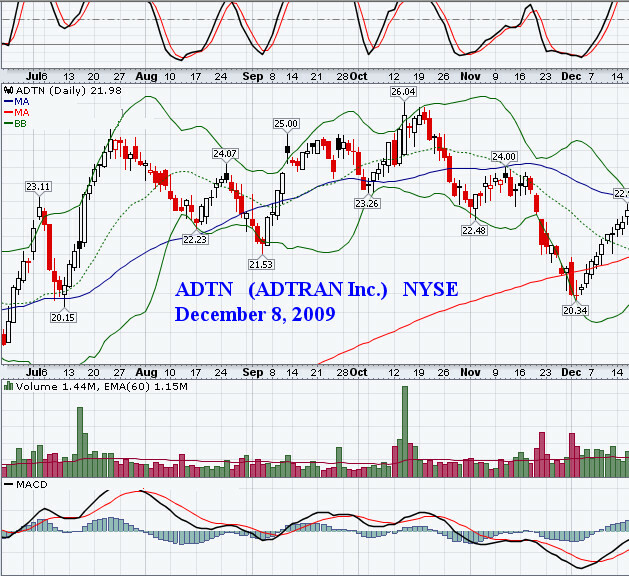 Our stock picks usually advance in one to thirty days. We post our picks each night on Sunday, Monday, Tuesday, Wednesday, and Thursday. and tell us you want to cancel. It's that simple! All subscriptions are month to month and you may cancel at any time. Our number one goal is to help you pick the winning stock! At A1 Stock Picks we are committed to the investment success of our daily stock picks subscribers. Our services are designed to consistently deliver high quality stock market advice and we research stock offerings in the thousands to bring our members only the most promising stock picks for investment.